The beautiful game never ceases to give us moments of magic. And it will be unfair to its legacy to miss those precious gems because we happened to be stuck in a meeting boring us to death. 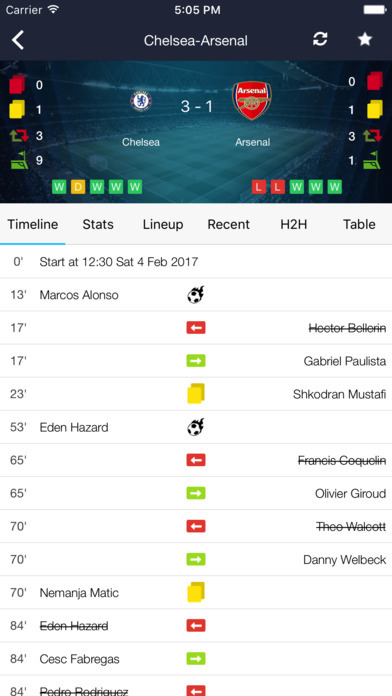 Like Ramos in stoppage time, we bring you Live Football Stats and Scores app in the App Store. What’s not there to go for it? From Live Matches to Saved Games, Recent to Season Records, a Timeline, every little detail of the game dug into, and brought to you through a seamless interface by Live Football Stats and Scores. If you want to remind your rival mate of a defeat your team forced upon his, you can save your favorite matches, and put it on the table as your final card. Even before the Kick Off, to get you prepared for all the upcoming action, Live Football Stats and Scores brings you the lineup for the game, all the important statistics to look into, like the Head to Head catalogue, the Home and Away records of both teams, and last 5 and 10 games. In Live Football Stats and Scores, you have the option to follow your favorite leagues, and be the first one to know about any upcoming action. Not only that, there is a Calendar designed especially for Football enthusiasts like you to keep you notified about the matches that have kept you up for weeks. If you want to show off your knowledge of your favorite teams and players, Live Football Stats and Scores provides a short bio including positions, shirt numbers, appearances, personal info, and more. Like all good applications, this one is always up to date. The Timeline tab refreshes every few seconds, so you will never miss an important moment of your game. All the goals, warning, send-offs, substitutions – it’s all in your palm. 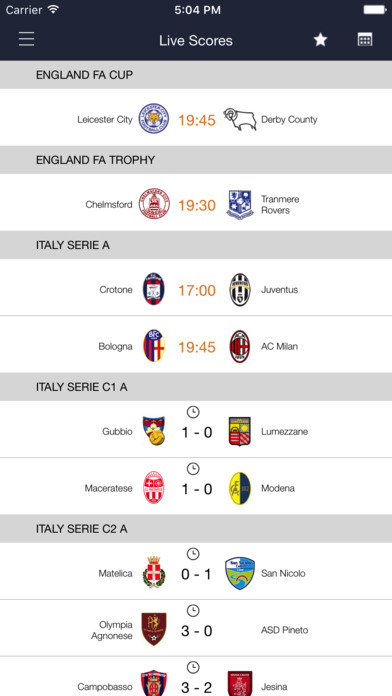 In the In Play tab of the app, you can follow football matches around the world right in that moment. You can star your favorite leagues, and they will be on top of the list when you dive into Live Football Stats and Scores. Peeking at the pros of the app, the detailed view of every match, and the real-time display at the Timeline is what makes this app fulfill its purpose. Option to save games, and star your favorite leagues, plus the players info section gives it an edge over its competitors. The app does not hang, mind you! When you look at the cons, you can ask for a live commentary which several other sports apps provide. Because if you can’t watch a game live, you might as well live it through the words of a commentator. Also, a video recap after the match ends gives users almost everything they are looking for. Apart from that, in the attempt to give too many details, some fragments of the application look too clustered, but nothing that can’t be fixed in later updates. 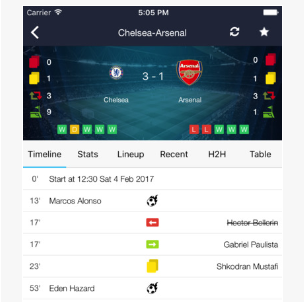 To give a final verdict on Live Football Stats and Scores, this app serves the user well, and provides so many features that why anyone would not want to use this app is beyond us. It is new to the market, and there is no doubt that later updates will make the users happier than ever.